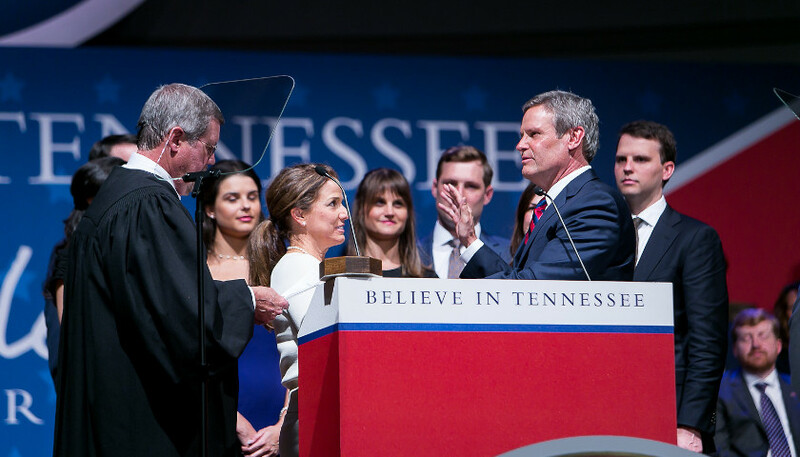 NASHVILLE, Tennessee — Republican Bill Lee took the oath as governor on Saturday and then delivered a broadly inspiring, almost pastoral, inaugural address in a 15-minute speech that did not provide much in the way of the specifics of his agenda. The inauguration was held indoors at War Memorial Auditorium due to rain. 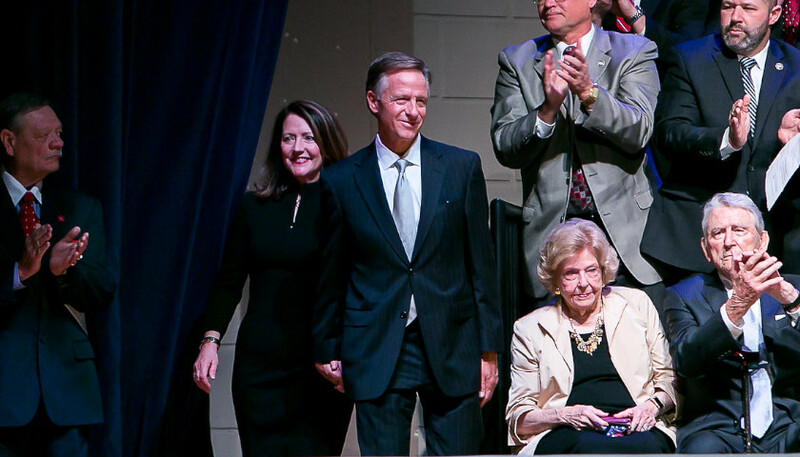 Lee began his address with a compelling historical note that traced his own family’s history in Tennessee. “In 1796 a man and his young family made their homestead on the banks of the Cumberland River just up the way from here. That was the year that the great state of Tennessee was founded. And 223 years later and 50 governors later, we stand here on the banks of the Cumberland River, celebrating our history and anticipating our future,” the new governor said. A few minutes later, Lee identified the man. He closed the speech with a reference to those early Tennesseans. “If we meet the challenges of this moment — they too will say of us they were Tennesseans,” he concluded. Lee offered rhetorical flourishes at the broadest level that appealed to conservatives and moderates. “Government is not the answer to our challenges. Government’s role is to protect our rights, our liberty, and our freedom,” Lee said. But Lee also appealed to moderates and establishment Republicans when he offered effusive praise for now former Republican Gov. Bill Haslam. “Standing here, in our state’s capital, we see reminders of your administration’s success everywhere. Growth and opportunity can be seen on every corner, from education to economic development,” Lee said of Haslam. 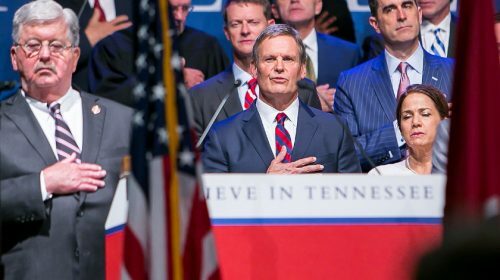 Notably, in his inaugural address on Saturday Lee failed to mention school choice, which he highlighted as one of his Ten for Tenn priority issues in his “contract with Tennesseeans,” introduced one month before the Republican gubernatorial primary. Instead, Lee said the state’s priorities should expand to focus on specific areas of education. “Tennessee has the highest rate of improvement in educational outcomes of any state in the country. Yet we are still in the bottom half of states,” Lee told the audience. As The Tennessee Star reported Friday, Lee named 36-year-old Penny Schwinn, a graduate of the University of California at Berkeley, formerly affiliated with Teach for America, as Tennessee’s new Commissioner of Education. 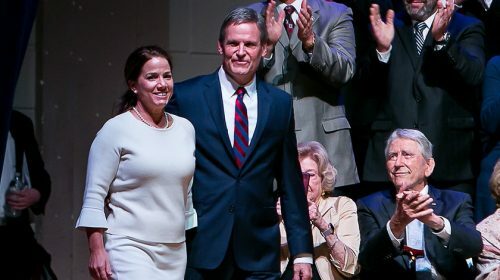 Shortly after he won the primary in August 2018, Lee removed the list of Ten for Ten promises from his campaign website. How and when this general objective is translated into specific legislation that can be enacted into law, however, remains unexplained. 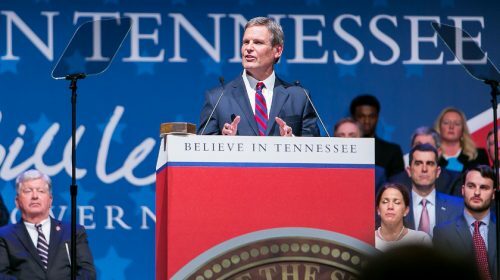 Lee went on to say in his inaugural address that most of Tennessee’s communities and neighborhoods are safe, yet violent crime continues to rise in all its major cities. He suggested the best way to combat crime is one that is tough and, at the same time, smart — but he didn’t offer details. The new governor did say the state should help non-violent offenders re-enter society. “Ninety-five percent of people sitting in jail are coming out,” Lee said, noting that half will commit crimes again. “We need to help non violent offenders re-enter society not re enter prison,” he added. Another of Lee’s stated priorities is health care. 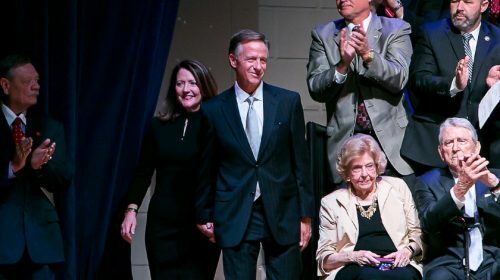 “Too few Tennesseans have access to health care that they can afford,” Lee said. Again, Lee didn’t offer specifics on what his policy plans for that were. 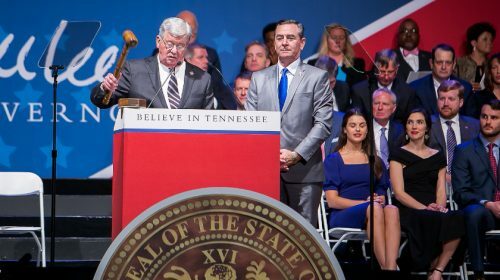 Sources tell The Star the governor will not spell out his specific policy proposals until March 4 when he delivers the State of the State address, more than two months after the Tennessee General Assembly’s current session convened on January 3. 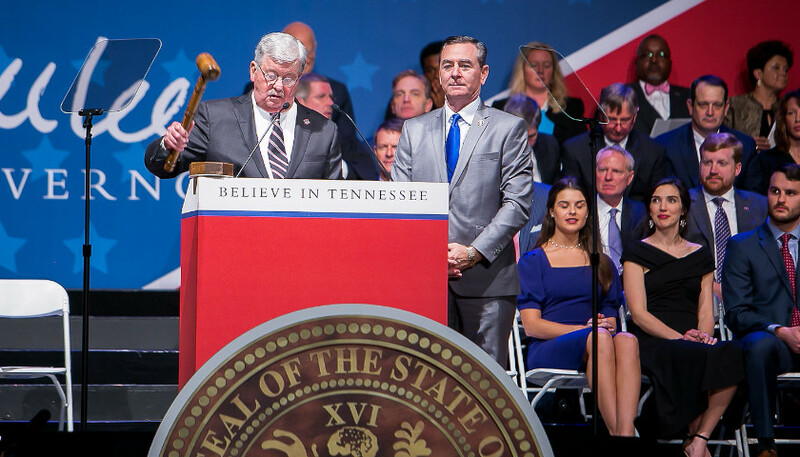 This unusual vacuum of specific legislative policy proposals provides the leadership in the Tennessee General Assembly – Speaker Glen Casada and Lieutenant Gov. and Speaker of the State Senate Randy McNally – an opportunity to set their imprint on the state’s agenda before the governor does. So much for Mr. Lee’s plans for Tennessee. As long as it makes him feel good the rest of us can continue to deal with more of the Haslam plan.